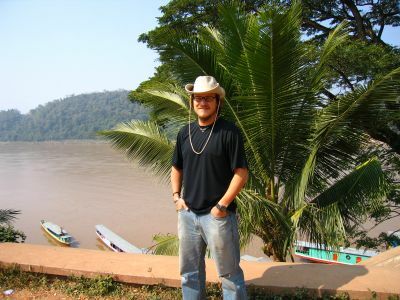 hanging out along the mekong in luang prabang. 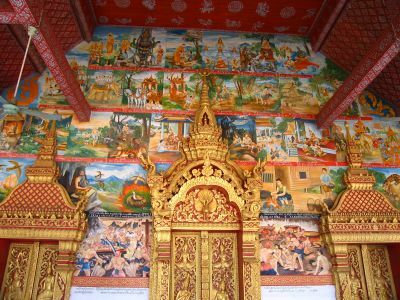 luang prabang is a unesco world heritage site because of the 32 amazing buddhist temples there. i walked into one and snapped this picture. everything is done outside in these tropical countries. 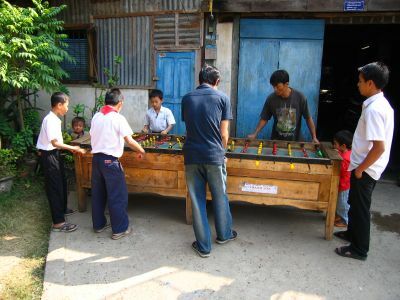 here are some kids playing foosball which reminded me of working at bank of america where i smashed scott gerbosi in foosball on a daily basis. 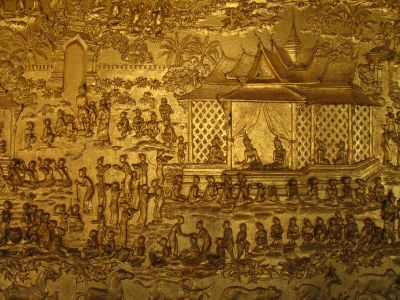 the detail of a golden wall in a temple. 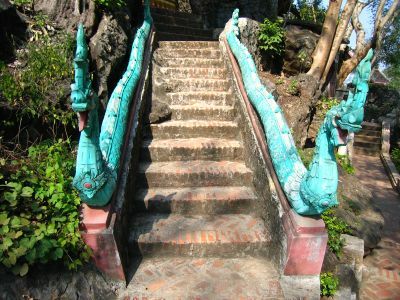 i climbed up the highest mountain in luang prabang to the phousi temple where the stairways were covered with dragons. shhhhhh! don't wake the reclining buddha. 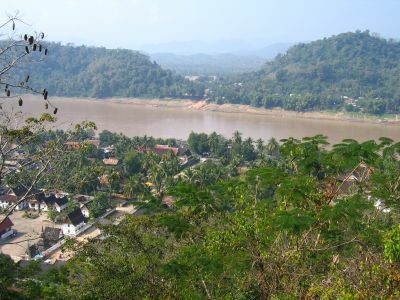 nice view of the town and the mekong from the phousi temple. 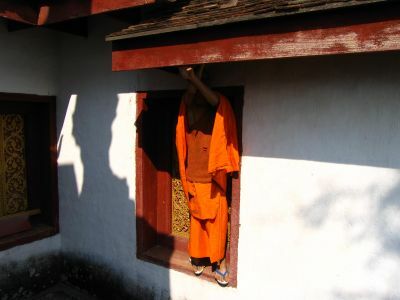 a monk at the phousi temple reaches into the roof to repair something. 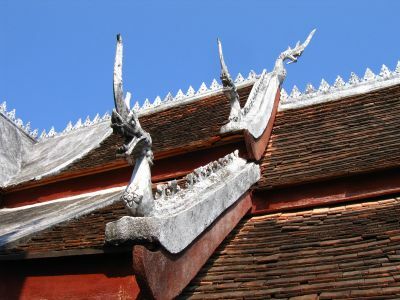 the dragon-adorned roof of the phousi temple.